The watch world lost one of its few genuine icons when Walter Lange passed away in January. How important was he to A. Lange & Söhne? In his modest way, Walter Lange sometimes referred to himself as “a bridge to the past”, but this is only one side of the coin. With his courageous decision to re-establish A. Lange & Söhne in Glashütte, right after the German reunification, he built a bridge for the future of our company and for the German fine watchmaking industry as a whole. So he was an important presence for the watch industry in general? I think it is not too much to say that Walter Lange was one of the best ambassadors of haute horlogerie ever. His success and his example has inspired watchmakers all over the world to start up their own enterprises. What will Walter’s legacy to the industry be? He will always be remembered for his role in the renaissance of Saxony’s fine watchmaking tradition and his unshakeable belief in fine mechanical watchmaking. 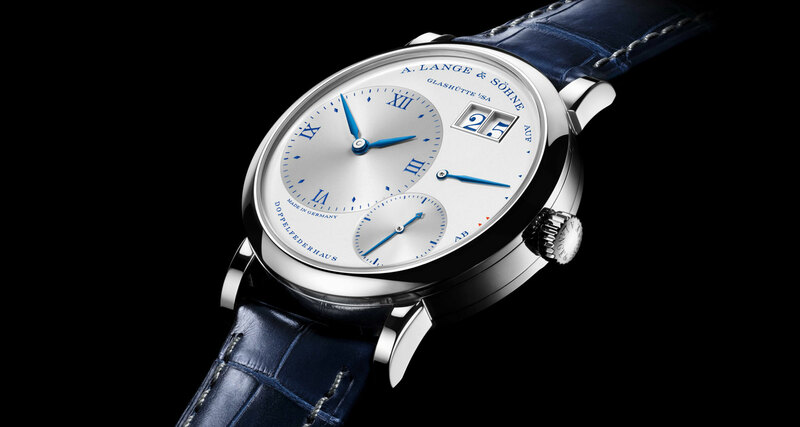 How will Lange celebrate his contribution to watchmaking? We are convinced that to continue his work as he intended is the best way to honour the memory of a man who has dedicated his energies to the welfare of his employees and the people of his hometown Glashütte. How did he feel about the watches launched at SIHH 2017? Walter always preferred innovative designs that respect the traditions of A. Lange & Söhne. Therefore, he was particularly happy with the Tourbograph Perpetual “Pour Le Mérite” and the 1815 Annual Calendar. Both timepieces are prime examples of a decidedly classical approach to fine watchmaking while featuring ingenious mechanical solutions and elaborate functionality. Tell us about this year’s other new watches. Beside the two models mentioned above, there is the Lange 1 Moonphase which, with its unique day/night indication, is further proof of our approach to exploring new avenues. And then we have the Zeitwerk Decimal Strike that features an automatic acoustic time indication every ten minutes – a pattern that matches the numeric display. You have already mentioned the Tourbograph Perpetual “Pour le Mérite” that combines five complications. Tell us about the process of developing this watch and what the achievement means to the brand. “More than meets the eye” is the motto behind this development. The Tourbograph Perpetual “Pour le Mérite” is a tribute to mechanical precision – it’s about taking our solutions to the next level. Two of its five complications – the fusée-and-chain transmission and the tourbillon – are only there to increase its accuracy. Like in every movement with a multitude of complications, the main challenge has been to orchestrate the optimum interaction of all of the different mechanisms by ensuring an intelligent energy management. You mentioned the fusée-and-chain transmission, a speciality of Lange. What are the advantages of this and what are the difficulties in producing it? In a nutshell, the fusée-and-chain transmission compensates for the declining spring force by keeping the effective torque constant across the entire power-reserve period. It is perhaps one of the most elegant solutions of this mechanical problem. But it takes the ultimate in know-how and dexterity to craft this intricate mechanism in a size that can be accommodated by a wristwatch. The chain alone consists of 636 individual parts. And the planetary gearing, which assures the power flow during the winding phase, consists of 38 tiny parts that fit inside a cone with a diameter of a mere 8.6mm. Lange is a very traditional brand. How are you reaching out to a new audience of watch buyers? In the watch industry, we are presently experiencing the rediscovery of tradition and lasting values. We create works of art that are an expression of our customers’ personalities. We are convinced that this will never go out of fashion. There will always be collectors who cherish quality in timepieces, automobiles and art. What does 2017 hold for A Lange & Söhne? Following a very good SIHH, we have every reason to believe that 2017 will be a successful year for us. The greatest challenge will be to bring the new models to the market in time. Please believe me, it is a long way from the presentation at the fair to the training of watchmakers on the new movements and the delivery of the timepieces. This will keep us busy until the end of the year.